Store your Iranian seasoning in an airtight jar out of direct sunlight. Use within 3 months before making more. Note: If you have time, I do recommend dry toasting the whole cumin, coriander and peppercorns before grinding to release more flavours. Cardamom note: I've recently started simply grinding the whole pods as removing the seeds can be a bit fiddly and time consuming. As long as you sieve the ground pods this doesn't seem to cause any problems. For this recipe you can use any cardamom you have to hand. I used black/brown which is a bit more potent than green but either will suffice. Ingredient Note: For the best flavours, the recipe above uses a few whole spices. If you don't have them all to hand, simply swap with pre-ground powders and reduce the amount you use by roughly half. 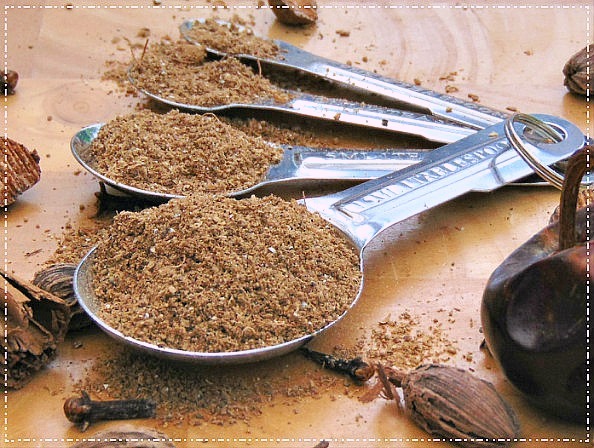 For example, 2 tablespoons of cumin seeds equals about 1 tablespoon of pre-ground cumin. Reduce any others you don't have whole by half as well and stir in with any other powders when making.